Microsoft has released its latest operating System Windows 8 which runs both on PCs and tablets like Microsoft Surface. 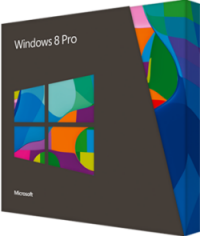 If you are a existing Windows user and have a PC with valid license of running Windows XP SP3,Windows Vista, or Windows 7, you can upgrade to Windows 8 Pro for $39.99. This upgrade offer from Microsoft is valid from October 26, 2012 until January 31, 2013 and is limited to five upgrade licenses per customer. Upgrading to Windows 8 pro require you to install and runs the Windows 8 Upgrade Assistant. Windows 8 Upgrade Assistant checks if your existing PC can be upgraded to Windows 8 Pro or not based on the Hardware of the system. After that you can purchase, download, and install the upgrade. You can Upgrade to Windows 8 Pro here.